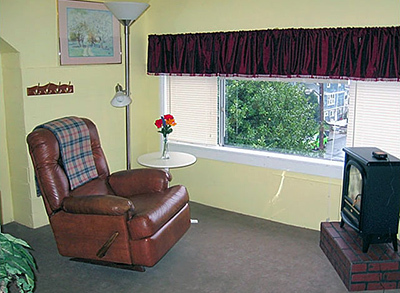 Are you looking for furnished accommodation in Portland, Oregon, for one month or more? 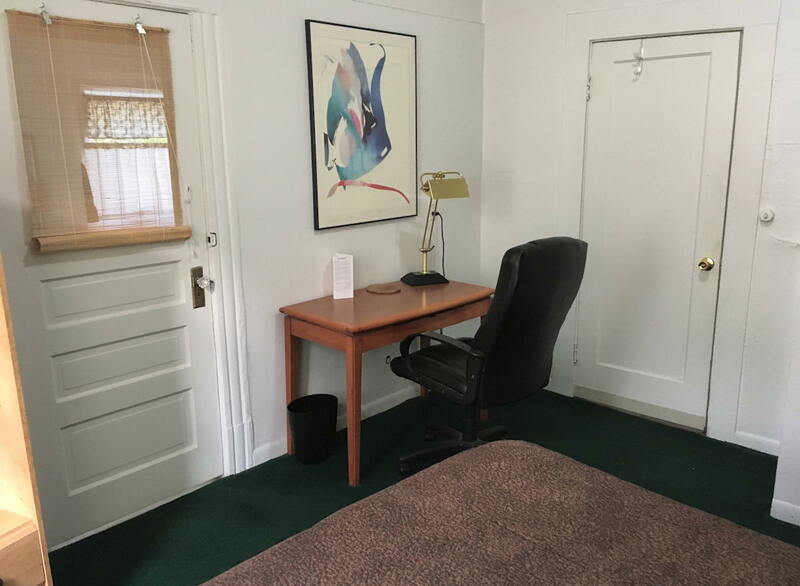 At the Portland Hawthorne Guesthouse you can stay in your own bright, comfortable room for much less than what you would pay for a temporary furnished apartment or an extended stay hotel — and still be close to everything! 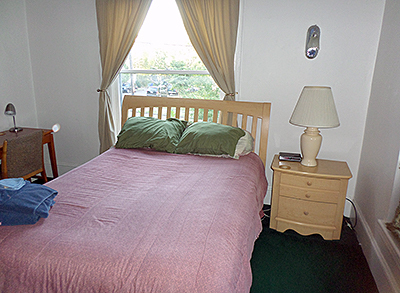 The guesthouse has a full-time resident host, William, who can answer questions and provide directions. Five rooms are available. See below for details about each room and each room’s next availability date. 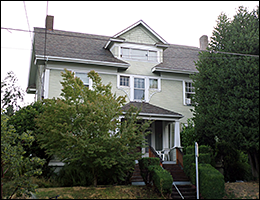 The Portland Hawthorne Guesthouse is just across the river from downtown Portland. It's about 14 blocks east of the Willamette River. Driving to downtown takes about 5 minutes. No car? No problem: within three blocks are bus stops for two east-west bus lines (Line 14 and Line 15) and one north-south bus line (Line 70). Each room has a door that locks with a key. 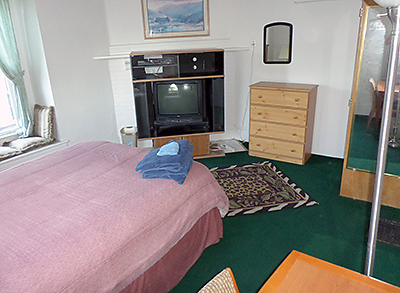 Each room is carpeted and is furnished with a "full" size bed, a desk with a chair, a closet or wardrobe unit, and a TV with tons of cable TV channels. 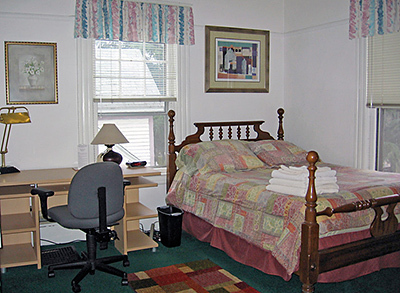 All rooms have free access to reliable high-speed secure WiFi, from a high-end 802.11ac router. Guests also have use of the fully-equipped kitchen with their own space for food, a washer and dryer in the basement, and the living room. 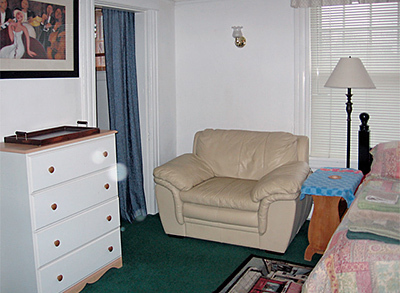 Room 1 is on the first floor, measures 13' by 15.5', and has a private (though not in-room) bathroom. 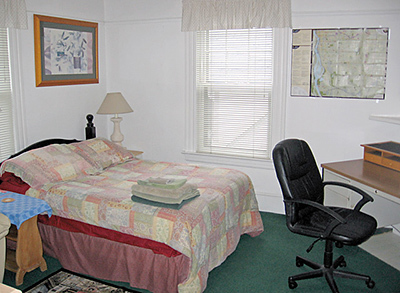 Room 2 is on the first floor, measures 12' by 13', and has a private in-room bathroom. Room 3 is on the second floor, is 13' by 14.5', and has a ceiling fan. The bathroom is shared. Room 4 is on the third floor, is 20' by 22', and has a view of the city. The bathroom is shared. 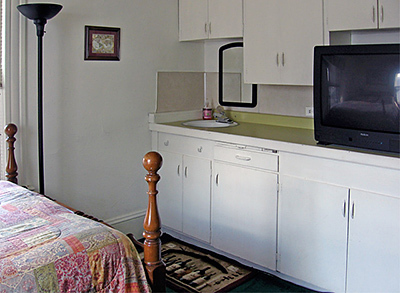 Room 5 is on the second floor, is 12' by 13', and has an in-room sink. The bathroom is shared. 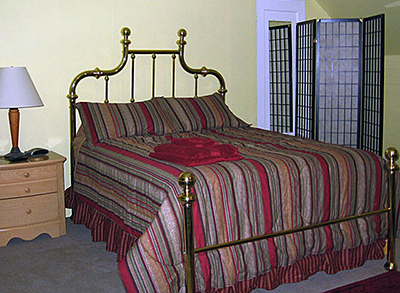 Please call 503-278-7010 or e-mail info@phguesthouse.com for more information or to reserve a room. The minimum stay is one month. Preference is given to stays of two months or more. Partial months are OK, after the first month. 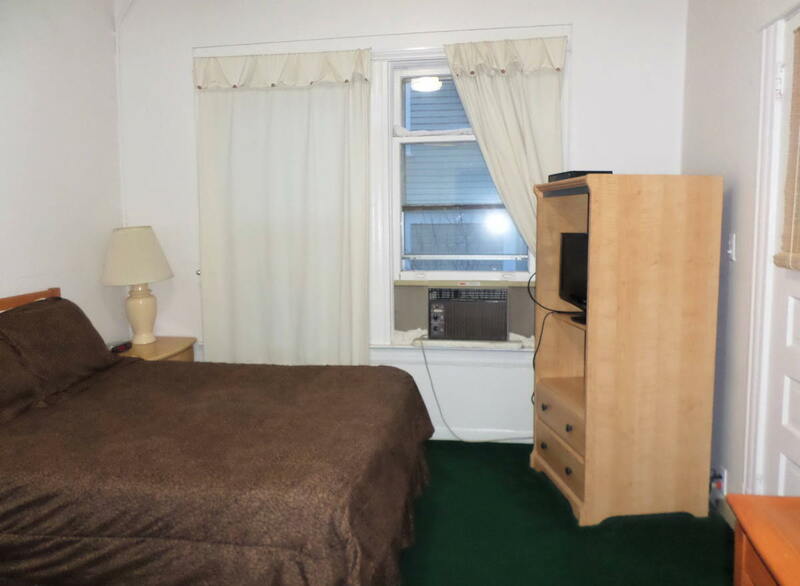 For any partial months, the rent will be prorated. All utilities are included. There is no extra charge for utilities. An advance reservation is required. A deposit is requested. Sorry, no pets. (There are no pets in the guesthouse.) Sorry, no in-house smokers. People who are relocating to the Portland area. Nurses, consultants, and other traveling professionals. People coming to Portland for a project or internship. Guests from out of town. Website copyright © 2016 W. Gregg. All rights reserved.